Altfest Personal Wealth Management is a New York City-based wealth management firm. The firm has 14 financial advisors on staff, and it manages more than $1.3 billion in assets. The firm offers investment management and integrated financial planning to its clients. It mostly advises individuals and high-net-worth individuals, in addition to a small number of institutional clients. Its institutional clients include one pooled investment vehicle and a few charitable organizations. Altfest Personal Wealth Management has been in business since 1983. The firm is primarily owned by Lewis Jay Altfest, who also serves as the firm’s president. Altfest founded the business because he wanted to create a firm that would offer a “comprehensive and genuinely objective” outlook on personal wealth management. Altfest has been inducted into the Research magazine advisor hall of fame. What Types of Clients Does Altfest Personal Wealth Management Accept? 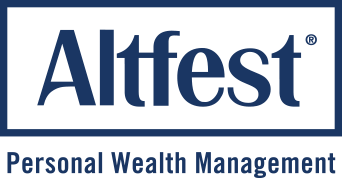 Altfest Personal Wealth Management offers wealth management services to both individuals and high-net-worth individuals. It requires a minimum portfolio size of $1 million, so it isn’t necessarily a good option for investors who are just getting started but it could work for individuals and families who have acquired a decent amount of wealth. The firm isn’t tied to any big financial institutions. However, it is located in New York City so investors who want a firm that is independent but still located in a financial capital might find what they are looking for. Aside from individuals, Alfest can also serve pension plans, profit-sharing plans, trusts, estates, charitable organizations, corporations, private funds and other business entities. Altfest requires a minimum account size of $1 million. Altfest Personal Wealth Management strives to put the investor at the center of all of its investment decisions. It tailors clients’ plans to their individual needs and financial goals. Founder Lew Altfest still heads the investment committee, which is responsible for deciding and setting the company’s investment objectives and policies. The firm uses an active management strategy to find value, manage risk and maximize portfolio performance. The firm works to diversify each client’s portfolio, and it looks at risk both wholistically and on an asset-by-asset basis. Common investments used by Altfest include mutual funds, exchange-traded funds, private funds, stock and bonds. For select investment review clients, the firm generally charges clients on an hourly basis. Rates are typically set at $500 per hour but may be as high as $800 per hour. Altfest charges different fee rates for clients who are young professionals. For the first year, this client group is charged 0.275% of assets on a quarterly basis, with a minimum quarterly fee of $625. After that, these clients are charged 1.00% of assets under management, with a minimum fee of $375 per quarter. For additional financial planning services, these clients will pay an additional fee of $250 an hour. The chart below shows how Altfest Personal Wealth Management’s fees for its investment management services compare. Note that these fee estimates are based on the maximum fee rates charged for wealth management services. *Fee estimates only consider the maximum base fees for the services each firm provides. You may also pay manager fees and other fees, which can vary in amount. **Includes additional advisory fee of 0.001% that applies to accounts below $2 million. ***All figures are based on median fee levels according to Bob Veres' 2017 Planning Profession Fee Survey. The above estimates solely take into account AUM-only fees. Total costs will likely be higher due to additional expenses. Altfest Personal Wealth Management is a fairly small company. If you’re looking for a big company with a substantial research staff and access to major financial institutions, Altfest may not be the best choice. The firm is located in New York City, so if you don’t live in the Big Apple know that you won’t have easy in-person access to the firm’s advisors. Potential clients should also note that if you are planning on investing less than $2 million, you’ll pay slightly higher fees. The firm charges clients with less than $2 million in assets an additional .001% fee. Altfest Personal Wealth Management has no disclosures from the last decade on its record. To get a complimentary consultation from Altfest, fill out this form on the company’s website. Or, you can call Reza Rezvi, the firm’s marketing project manager, at (212) 406-0850. The form on the firm’s website requests information about your identity and location, as well as your contact information. There is also a box where you can tell the firm “a little bit about your story,” allowing your potential advisor to learn more about what you’re looking for in an advisor relationship before you even meet for the first time. Where Is Altfest Wealth Management Located? The firm is located in New York City. The office is situated in Midtown East, at the intersection of East 57th Street and Park Avenue. It isn’t always easy to find a financial advisor who is the right fit for you and your family. Luckily, SmartAsset has a tool that can make it a little bit easier. Our free financial advisor matching service will help you find an advisor who can help you make the right decisions in your financial life. You’ll answer a short series of questions about your background and preferences. Afterwards, our program will match you with up to three financial advisors, all of whom have been fully vetted and are free of disclosures. These advisors will be given your contact information and will get in touch with you to see if you’re interested in moving forward. Knowing how much money you’ll have when you retire is an important part of knowing what your financial plan should look like and what changes you need to make to your savings and spending habits. SmartAsset’s retirement calculator will give you an idea of what your post-retirement income might look like so that you can adjust as needed. There are a number of financial products that you can use to plan for your financial future. A deferred annuity is becoming an increasingly popular option as life expectancies continue to go up.